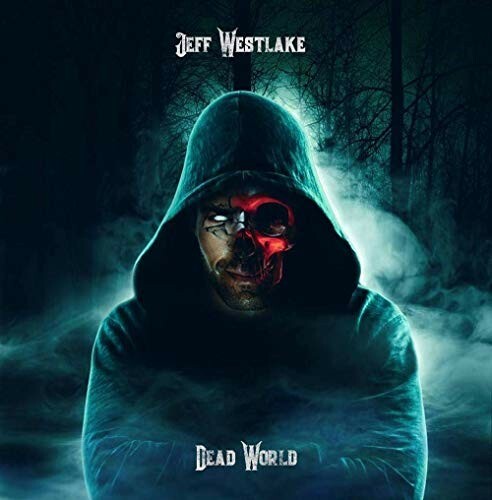 Following his previous solo offering last year, 'Dead World' is the second part of Jeff Westlake's musical cleansing. The guitarist and founding member of Hydrogyn is making public his self-induced cleaning of specific emotions and musical expressions. Starting with 'In The Key Of Blue', we now have 'Dead World' and this scribe can only say thank you to the man himself. Opening with 'The Devil's Juice', this voyage opens up more of Westlake's musical world than we could've imagined. The album is based upon a story that Westlake has co-written with the Withrow's – the father and son pairing of Terry and Brandon. Terry R. Withrow also joins in on guitar, alongside Westlake's masterful fret-work, as well as filling the producer role. Westlake also handles the vocals, as he did (for the first time ever) with his previous record last year, while Hydrogyn bandmate John Cardilino is responsible for the drums. Lastly, laying down those keys is Joe Caudill with bass courtesy of Westlake as well! What are we listening to on this collection? Is it more of Westlake's winding down the Blues highway... no, not really, although his love for the Blues does shine through. On this record, we can hear more of his Funk side, and yes, his rockier side as well. In addition to the above musicians, there's also some lovely sax playing; this dude has real soul! Westlake has invited Jeff Carter to add some amazing sax excursions and, of course, this helps Westlake to realise all of these musical adventures. It's possibly the icing on this sonic cake, sometimes as interplay and sometimes as a duel between guitar and sax – what a brilliant trip! To have Westlake be brave enough to step out of his comfort zone speaks volumes unto itself as he weaves a magical musical tapestry that is ever so rich. If you know of Westlake's work with Hydrogyn, then you'll get what I'm trying to say. However, if this is the first you've heard of this man, you'll likely still understand the following – Jeff Westlake is a rather gifted musician that writes emotive music and songs that open a vast musical soundscape for all to enjoy! 'Dead World' is melodic, far-reaching, poetic and rich, an album that takes us on a rocking, guitar-driven musical opus with many more peaks than valleys. Outstanding tracks on the album? For me, every one of them.